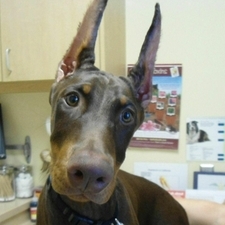 I became a client of Dr. Stirwalt 7 months ago when we got our Doberman puppy Duke. As with all Dobermans, getting their ears to stand after cropping is a challenge. After months of going to an ear "expert" , with only one ear standing, this "expert" suggested another procedure. We decided to try it and knew immediately after, that it had been a mistake. 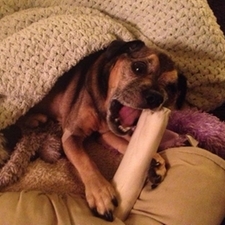 The days following the procedure, we could tell Duke was in pain and distress. I took him in to Dr. Stirwalt and wanted her to assess his condition. To make a long story short, she fixed him, she fixed another doctor's mess, she didn't make me feel bad, but rather was very compassionate. Her staff got me in the same day when I told them the situation, and they all stayed after hours until Duke was fixed. I was charged a fraction of what I thought the bill could be. As I lay on the couch, with my Duke sleeping with his sutured head on my lap, I thank God for people like Dr. Stirwalt, who care, who want to solve a problem, not cover it up with a pill and a bandaid. I have had many vets over the years and she is by far not only the most skilled, but the most loving and compassionate doctor I have ever met. Dr. Stirewalt you and your staff are always attentive to my Crash's needs. I feel that both Crash and Bandit receive the highest quality of care from you and your employees. I receive explanations on what is happening with my boys and how they can be treated. If they need a specialist's attention I am referred to someone that you have confidence in. Everyone is friendly and professional. Dr. Stirewalt has taken care of my beloved Golden Retriever, Riley, since she was just 8 weeks old and now at 9 years old, a little limp from all her athletics, Riley is healthy and going strong and it's all due to the incredible care of Dr. Stirewalt & "State of the art" Simi Valley Animal Hospital. Even though I drive 1/2 hour to get the SVAH, I would never consider taking Riley anywhere else. 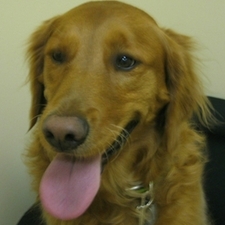 Dr. Stirewalt gives the special care that anyone who loves their pet wants & appreciates. 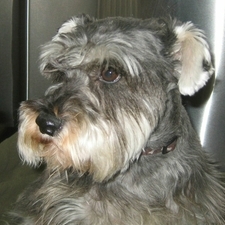 Dr. Stirewalt is kind, caring, knowledgeable, compassionate, thorough & up to date on all the latest in Veterinary care. I consider Dr. Jennifer Stirewalt, Brandon Stirewalt and Simi Valley Animal Hospital, family. My husband and I have been faithful clients of Dr. Stirwalt before she even opened up her own practice. We had 3 dogs that were are children. 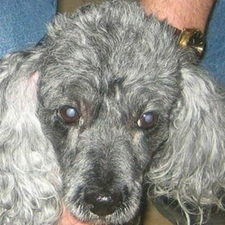 Our dogs had a lot of medical issues as they aged and because of her, they lived long and loving lives. The quality of care and compassion she and her staff provided to our dogs and to me and my husband was outstanding. If your looking for a great doctor she is it. I have been a client since Dr, Stirwalt first opened her practice. My family currently consists of 3 dogs and the care that Dr. Stirwalt and her staff have given to my "babies" is unbelieveable. One of my babies has had cancer twice, both times requiring surgery, and the quality of care and compassion has been outstanding. 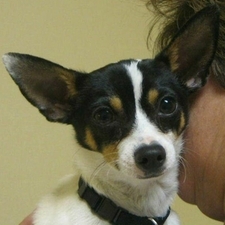 I have been to several veterinary practices and none compare to Simi Valley Animal Hospital. This hospital is exceptionally clean, has the state of the art equipment, and the warmest staff you could find. If you are looking for the same kind of care you would want for yourself then this is the place to be. I highly recommed you drop by and meet "Doc" and her amazing staff; oh and while you are there ask to meet the man behind the scenes...he is awsome. Both our dogs love the place. Up to date equipment. Knowledgeable, very compassionate staff, and the services recommended as well as actually undertaken are fully and clearly explained. Last visit was 05/28/2010. Both dogs will continue to use this first class facility.